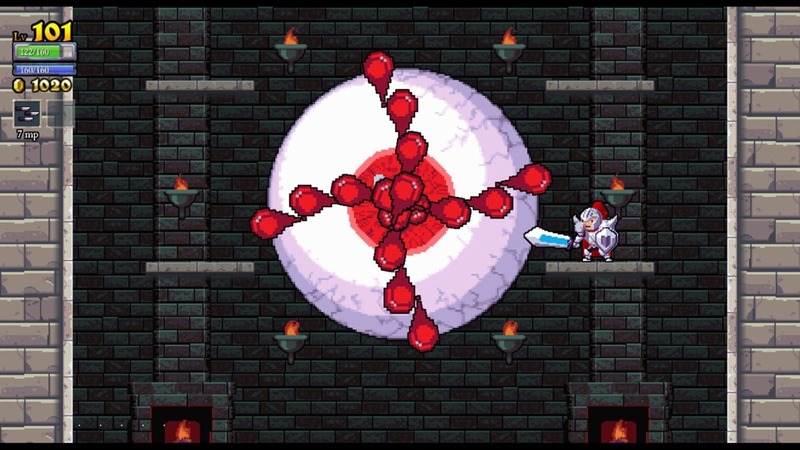 Rogue Legacy is a rogue-like “lite” that involves tackling a randomized castle with generations of heroes, each with different classes, powers, and personality quirks. You enter the castle, kill baddies, earn money, dodge traps, and inevitably die. Dying forces you to pick a new hero and start the castle from the start, but you keep your gold as well as any loot you’ve collected. This gives the game a sense progress uncommon in rogue-likes. You take the gold you earn and use it to upgrade your base to unlock new classes and abilities, buy armor and acquire runes that give you new powers. You can’t accrue gold over successive lives however because the castle’s gate keeper takes your remaining gold in exchange for entrance. The various enemies seem repetitive but it actually allows you to learn to recognize and respond to various enemy types on sight. My personal nemesis early on was the Doomvas, a killer painting. In my first few two dozen heroes it killed me more than anything else, but facing it often, rather than feeling repetitive, allowed me to get better at dealing with them. The visuals are charming as hell, with your hero valiantly carrying their blade aloft as they charge into battle against floating cloaks, killer knights, deadly skeletons and more. The solid art style is complimented by great color choices. On top of that, the sounds are really good. The sound effects are nice and clear but the music is what sets Rogue Legacy apart. I find myself humming the tunes from the game long after I stop playing. In case you can’t tell, I really like Rogue Legacy. I didn’t think I would enjoy it as much as I did – I assumed I would get mad at the difficulty level and rage quit. 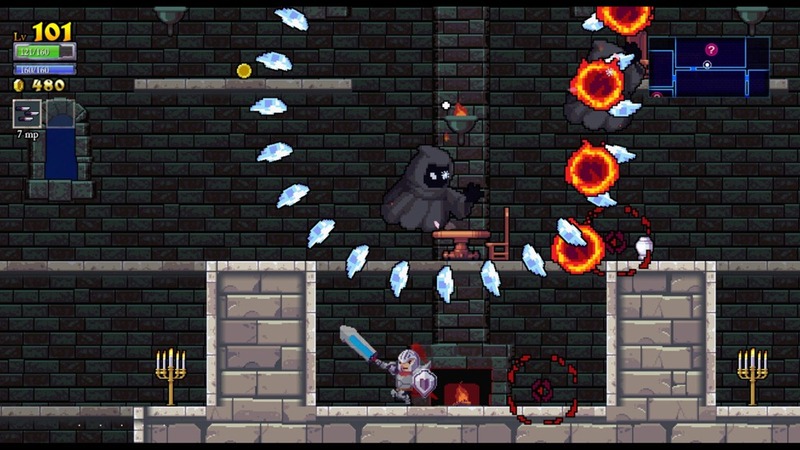 Thankfully Rogue Legacy’s superb controls, great presentation and entertaining concept make for a fun time. I haven’t had that much fun dying that often in a long time. I heartily recommend this to everyone: you’ll have a blast sending hundreds of your heirs to early graves.